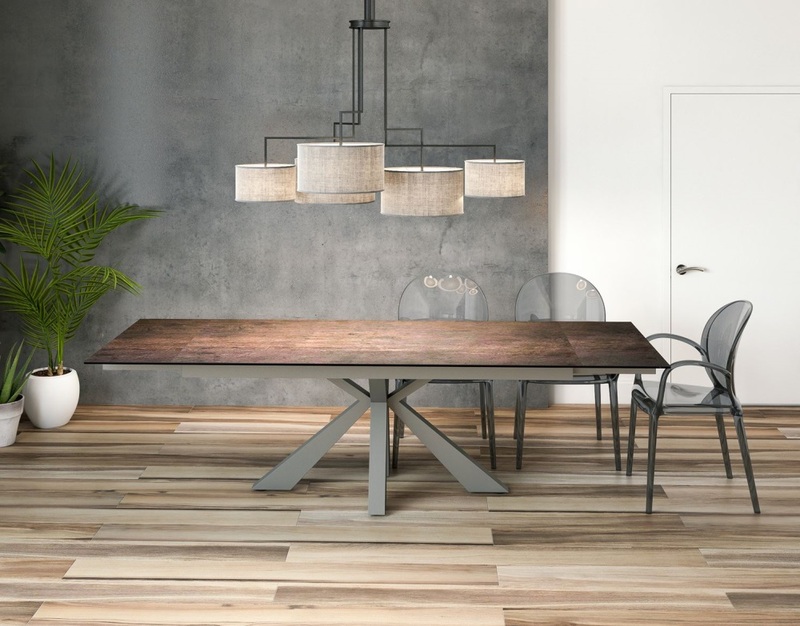 The Ottawa DIning Table is Akante's latest addition. The extensions are hidden under the upper plate on either end. At 2m70cm when extended, the Ottawa can seat 12 people comfortably. Akante's signature modernity and elegance can be seen in the mix of a steel dark ceramic upper plate juxtaposed on the rustic charm of the steel finish foot creating a warm and intimate dining experience for all.